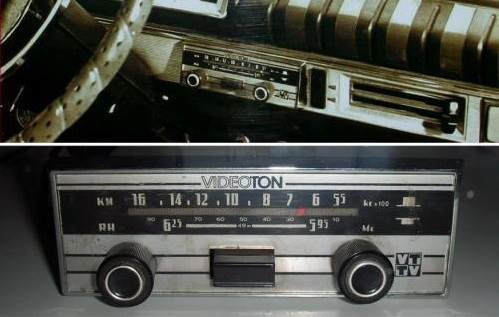 I came across this picture on Facebook the other day, a photo of the cheapest car radio made in Hungary back in the 1970s. It was a very basic radio manufactured by Hungary’s dominant electronics manufacturer Videoton. We had the exact same type of radio in the exact same model car (a Lada 1200 if I am not mistaken) when I was in grade school. Funny thing about this receiver is that it wasn’t an AM-FM radio. It was an AM + shortwave radio, with a single shortwave band tuned to 49 meters. The same 49-meter shortwave band that was the preferred band used by Cold War era propaganda stations broadcasting in Hungarian, including Radio Free Europe, Voice of America, the BBC, Deutsche Welle, even The Vatican. We lived in the town of Visegrad at the time, only 40 km north of Budapest but separated from the capital by some hills. Because of the terrain, reception of Budapest stations was often spotty. Which may explain why this little car radio had trouble tuning to the 2 MW transmitter of Radio Kossuth, located in central Hungary, but had no trouble at all with the reception of the aforementioned propaganda stations; those were always crystal clear. As to why a communist-era state-owned electronics factory was manufacturing a car radio with such excellent short wave sensitivity, I have no idea. Perhaps, in an early experiment with capitalism, they were trying to respond to market demand?